But the thing I really love about growing basil is if you have one basil plant, you can use it to propagate the clippings to grow more basil plants! 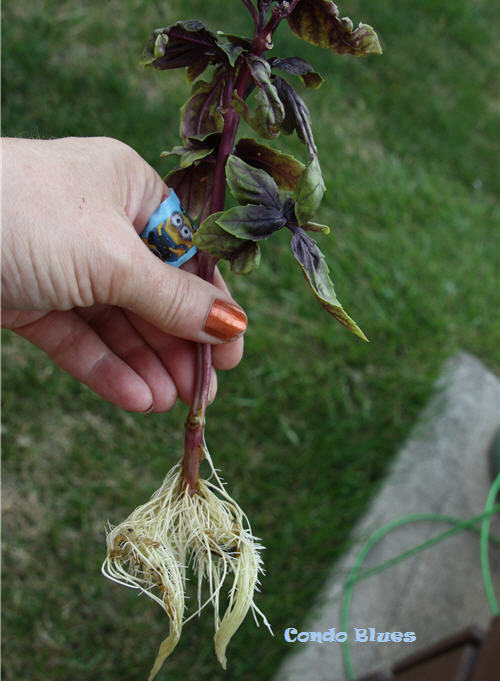 Propagating (growing roots on plant cuttings) basil is super simple and doesn’t take much time at all. 1. Remove the basil leave from the bottom two inches of the basil stem cutting if needed. 2. 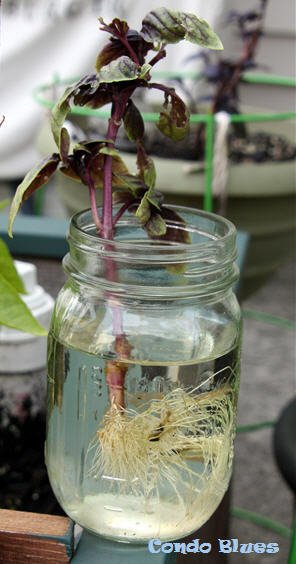 Put the basil cutting in a mason jar filled with water and place it in a sunny area. I put mine on my patio with the rest of my container garden. 3. Add to or change the water every few days as needed. The basil needs the water to grow (obviously) but we don’t want it to get slimy which will prevent the basil cutting from growing new roots. 4. 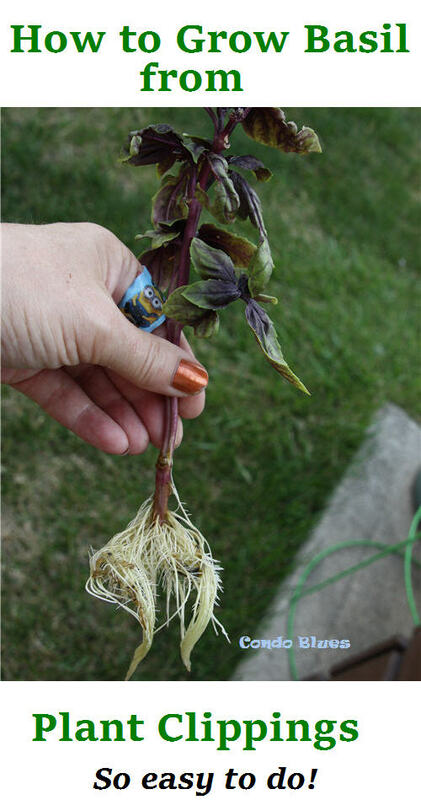 When the roots on the basil cutting grow to at least 2 inches in length, plant the rooted basil stem in dirt. You'll want to wait until the plant is established before you start picking basil leaves off the new plant. 5. Grow the newly propagated basil plant. Tip: I use a portable dehydrator like this one to dry my basil plants throughout the summer and store them in mason jars to use for the rest of the year to get the most bang for my gardening buck.